Former Finance Minister Tendai Biti has been quoted as saying the Zimbabwean government was planning to introduce a new currency sometime this week. As if that was not concerning enough, he added that the new currency would be backed by nothing except the good word of our dear government. I can confirm its true! New local currency on the way, there is a condition of securing reserves in place but I can confirm to you. It’s coming. Prepare yourself. At best they will delay, most likely not. 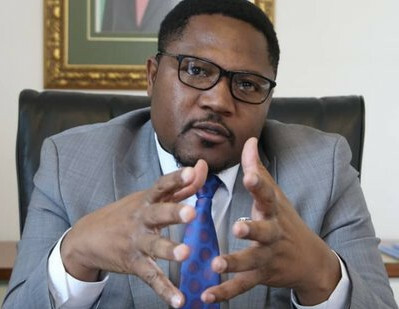 The Deputy Minister for Information, Media and Broadcasting Services Energy Mutodi has, however, since come out to deny these claims. He said the Governor of the Reserve Bank of Zimbabwe is still working on his monetary policy. Hon. Biti has falsely claimed that the government will be introducing a new currency next week so as to cause panic on the market. The truth is the RBZ Governor is still working on the monetary policy. May the lawyer focus on what he knows best not economics. Straight out of the gate here is one thing you should note. Mutodi does not deny the fact that the government is going to introduce a new currency. He seems to be merely focusing on the timeline. A clear spin doctor attempt to distract us from what is now a very likely case that the government is going to introduce a new currency. The Zimbabwean government, appears, to be planning on introducing a new currency during the next monetary policy announcement. In fact, this rumour has been going on for so long I am inclined to believe it myself. Both Mutodi and the Zimbabwean government have a tendency to deny things they later on implement. Remember the rumour that vehicle duty was going to be paid in forex? They denied it and yet here we are paying duty in forex. This is the same Mr Mutodi who denied the government had shut down the internet when we all knew they had. Facts are clearly not his strong suit. In fact, his department is often deployed to muddy the waters. To this day we do not know whether to believe the President’s Twitter Account or not. We are all waiting for Mr Mangudya to present his monetary policy. Don’t be surprised at all when he introduces a new currency. Never mind what Mr Mutodi says. Mitosis is an idiot! Every time the opens his mouth he sticks foot in it… Biti was the best finance minister Zim has ever had. This country prospered on his watch… only for ZANU PF to stuff it up! Whether Biti was a good finance minister or not is inconsequential right now. Question is, are we going to have a new currency or not? It will be the worst unplanned release of new notes ever. Even Gono would make adverts and print handouts on security features etc at least 2 weeks before release. My point is when it finally comes, we would have known it and the market would have been prepared to receive it. Government always messes up, but on releasing of new new notes (no matter how useless) they have been consistent up to radio and TV jingles. If its sometime this week dai tanzwa nawo majingles.